The Dulini Collection offers something unique in that each of its three lodges cater to the needs of the sophisticated traveller but although each situated adjacent to each other, they are all three distinguishable and suited to differing tastes and requirements. Leadwood Lodge for example, is the perfect secluded cocoon of African opulence for newly-weds or for those who prize privacy above all. The three magnificent thatched suites it offers are ideal for couples or for exclusive group experiences as they have been carefully distanced from each other to ensure that guests more than comfortably avoid encroaching on one another during their stay. Should groups require slightly more room along with sole use of the lodge, there is a fourth suite at their disposal made available on the premise that up to 8 guests then enjoy the safari vehicle at a time – (as opposed to the lodge’s usual policy of taking no more than 6 guests on a vehicle at a time). This policy means that you have ample opportunity to get to know your highly knowledgeable guides and to fully immerse yourself in your bush experience. Dulini Lodge is the main lodge and also offers six exquisite thatched suites on the banks of the Mabrak River. Each suite is elegantly decorated in understated modern African safari style and comes with its own private plunge pool, perfect for a cooling dip during balmy bush days. River Lodge is the third lodge on the reserve with its own unique look and feel described as exuding ‘…a sense of indulgence true to the long-standing safari tradition.’ The elevated positions of the suites on the banks of the Sand River make for spectacular views over the river towards the savannah beyond. Each of these lodges cater for the discerning safari guest, but there can be no higher praise than from discerning guests themselves whose reviews echo with descriptions such as ‘exceptional’, ‘world-class’ and ‘life-changing!’. 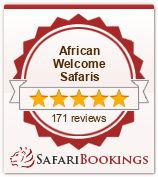 We are of the opinion that when your work speaks for yourself, you don’t interrupt – so we let the reviews of our safari guests speak for themselves. You’ve heard it so often that it may sound cliché, but the location of the Dulini Collection is what makes it something truly special. It is not unheard of to quietly witness leopard crossing the riverbed from the convenient vantage of the viewing deck for example. Reputed to be one of Africa’s finest safari destinations, the Sabi Sand Game Reserve is home to Dulini and with no boundary fences between Sabi Sand and the Kruger National Park, a great diversity of wildlife is found here, including the Big Five: lion, leopard, elephant, buffalo and rhino. Aside from the incredible opportunity to see these animals in their natural habitat, you will also be treated to all the five-star comforts of Dulini including their on-site wine cellar, fully-equipped gym and at the end of each day you can relax around the fire in the boma under African skies to enjoy sumptuous fare prepared by their highly accomplished and creative chefs. You may also wish to indulge in a little customary gift shopping as is the African tradition, in the Dulini safari shop. 50% of the profits from purchases made here are directly donated to the EsiDuini Community Trust which helps to alleviate poverty in the area.